Whether you have a big garden or a small outdoor space to call your own, when summer’s arrived it’s time to make the most of it! We’ve installed our sliding doors and windows to variety of different homes and extensions across the Midlands, and in doing so we’ve seen some amazing homes with clever use of space. So here’s some top tips from Lite Haus UK to make the most of your outdoor space this summer. Take inspiration from one of our customers who built a small extension at the end of their garden. This amazing garden hideout is the perfect hideaway in the summer. With bi-fold doors installed at the front, the pod easily opens up to the garden creating more space and effectively keeping the pod cool. 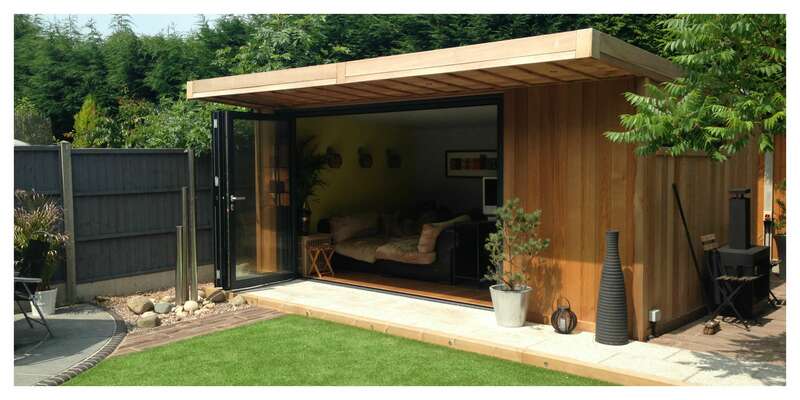 Garden hideouts are becoming increasingly popular for contemporary garden offices and sliding doors are a great option for maximising light and providing thermal insulation throughout the year. Not every home has a garden but even small spaces can be transformed for the summer. 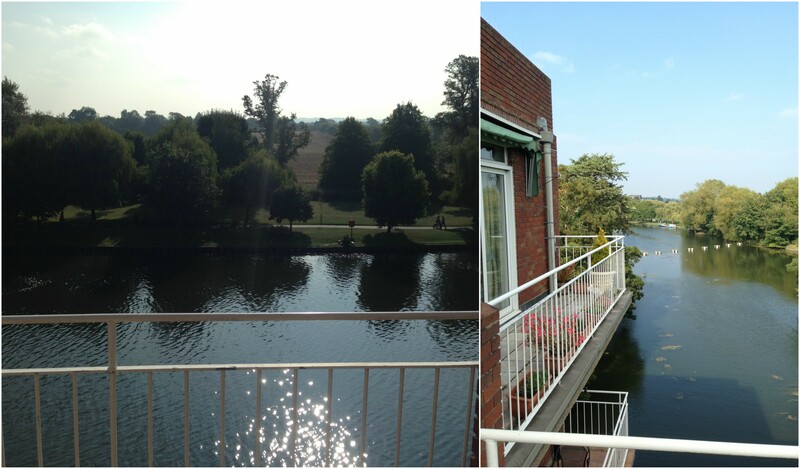 This is a view from the balcony of one our customers who lives in an apartment. We installed sliding doors to open out onto the balcony, opening the room to the outdoors without taking up any space on either side. Open or closed, the balcony doors let all the summer light in and provides easy access to the beautiful scenery that’s on offer. With the right lighting on your balcony, you can create a relaxing outdoor space to retreat to during a warm summer evening. This beautiful outdoor seating area is a great example of how to extend your living space during the summer months and enjoy al fresco dining. 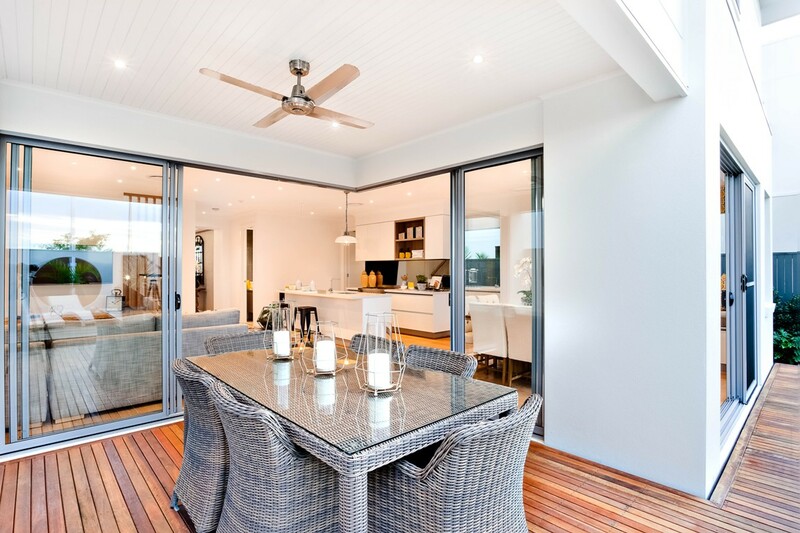 If you have room on your decking or patio to include garden table and chairs, you have an amazing space to enjoy eating in the summer. With bi folding doors pulled right back, you can easily extend your kitchen and dining space and allow traffic to freely flow between both spaces. There are some amazingly creative designs across Houzz and Pinterest to get you inspired for your own space – so take a look! If you’re interested in installing new sliding doors or windows in your home this summer, get in touch with the Lite Haus team and we’ll find the best product for you.